Practicing - I show my students how to break down complex challenges into achievable components, and then how to use self-discipline to follow through. My ultimate goal is for them to become totally self-sufficient and independent so they no longer need me prodding them along. Reading - Based on my extensive research in language acquisition, my method for learning to read music is designed to improve literacy. Theory - Music theory is like the math of music, and it develops their abilities to think critically, logically, and abstractly. Listening - Ear-training exercises help my students develop their crucial abilities to listen attentively and focus. Improvising - I tap into their imagination and let my students explore their creativity while thinking on their feet. Composing/Songwriting - Students will learn to craft their own music, which demands that they use both their logical and creative minds to reach their potential. Performing - Practice performances and real performances throughout the year help to boost their confidence and show them that big rewards come from perseverance and hard work. The Benefits of Music Education - Cognitive development, persona and academic success, work force preparation for the 21st Century. It's been shown that “Kids with musical backgrounds consistently beat the numbers” at Ivy League schools. 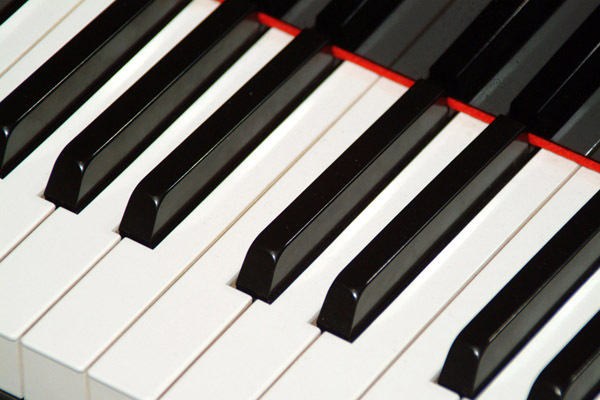 Click HERE to learn about how Ivy League admissions are like a piano competition. A recent German study shows how music training boosts brainpower and enhances verbal intelligence. Click HERE for a long list of research about the benefits of a music education for child development. Bertaux, B. "Teaching Children of All Ages to Use the Singing Voice, and How to Work with Out of Tune Singers." inReadings in Music Learning Theory, edited by D.L. Walters and C.C. Taggart, 92-104. Chicago: G.I.A., 1989. Brand, M. (1986). Relationship between home musical environment and selected musical attributes of second-grade children. Journal of Research in Music Education, 34, 112- 120. Bridger, W.H. "Sensory Habituation and Discrimination in the Human Neonate." American Journal of Psychiatry, 117(1961): 991-996. Burmeister, C. A. (1955). A study of community attitudes toward music education in the public schools of selected communities in Missouri. Journal of Research in Music Education, 3, 77-91. Butzlaff, R. (2000). "Can Music be used to Teach Reading?" The Journal of Aesthetic Education, 34, 167-178. Bygrave, P. (1995). "Development of Receptive Vocabulary Skills Through Exposure to Music." Bulletin of the Council for Research in Music Education,127, 28-34. Casner-Lotto, J., & Benner, M.W. (2006). Are they really ready to work? Employers perspectives on the basic knowledge and applied skills of new entrants to the 21st century U.S. workforce. New York, NY: The Conference Board, the Partnership for 21st Century Skills, Corporate Voices for Working Families, and the Society for Human Resource Management. Catterall, J. (2012) et al. "The Arts and Achievement in At-Risk Youth: Findings from Four Longitudinal Studies." Washington, DC: National Endowment for the Arts. Catterall, J. (2002). "The Arts and the Transfer of Learning." In R. Deasy (Ed. ), Critical Links: Learning in the arts andStudent Achievement and Social Development, Washington, DC: AEP. Cutietta, R. (1998). "Does Orchestra Education in Schools Make a Difference?" General Music Today, 11, 17-20. Fogel,H. (2007). The Importance of Music Education. Artsjournal.com/ontherecord. Gouzouasis ,P., Guhn, M., & Kishow, N., The relationship between achievement and participation in music and achievement in core grade twelve academic subjects. The University of British Columbia, Department of Curriculum Studies. Gilbert, J.P. "Assessment of Motoric Skill Development in Young Children: Test Construction and Evaluation Procedures. "Psychology of Music, 7:2 (1979): 21-25. Gilbert, Anne Green. Teaching the Three R's through Movement Experiences: A Handbook for Teachers. Seattle, Washington: Anne Gilbert, 1977. G.L. Shaw, and K.N. Ky. "Music and Spatial Task Performance." Nature, 365 (1993): 611. Greenberg, M. "The Development and Evaluation of a Preschool Music Curriculum for Preschool and Headstart Children. "Psychology of Music, 2:1 (1974): 34-38. Guth,P. (2009). The Importance of Music Education. http://education.more4kids.info. Helmrich,B.H. (2010). "Window of opportunity? Adolescence, music and algebra." Journal of Adolescent Research, 25 (4). Hetland,L. (2000). "Learning to Make Music Enhances Spatial Reasoning." Journal of Aesthetic Education, 34, 179-238. Hille, Al, Schupp, J., (2013), “How Learning a Musical Instrument Affects the Development of Skills,” SOEPpapers: The German Socio-Economic Panel at DIW Berlin. Hodges, D., & O'Connell, D., The Impact of Music Education on Academic Achievement. University of North Carolina, Greensboro. Israel, D. (2009). Staying in School, New York: The Center for Arts Education. Jensen, Eric. Music with the Brain in Mind. San Diego, California: The Brain Store, Inc. 2000. Johnson,C.M. & Memmott, J.E. (2006). "Examination of relationships between participation in school music programs of differing quality and standardized test results." Journal of Research in Music Education, 54 (4), 293. Keep Music Education Strong. SupportMusic.com "Keeping the Promise. Arts Education for Every Child: The Distance Travelled - The Journey Remaining." 2011 NJ Arts Education Census Project. Kraus, N., et al., Community music lessons improve the neurophysiological distinction of speech in children. under review. Kraus, N., D.L. Strait, and A. Parbery-Clark, Cognitive factors shape brain networks for auditory skills: spotlight on auditory working memory. Ann N Y Acad Sci, 2012. 1252(1): p. 100-107. Kraus N., Slater J., Thompson E.C., Hornickel J., Strait D.L., Nicol T. & White-Schwoch T. (2014), “Auditory learning through active engagement with sound: Biological impact of community music lessons in at-risk children.” Frontiers in Auditory Cognitive Neuroscience. Kraus N., Chandrasekaran B. (2010), “Music training for the development of auditory skills.” Nature Reviews Neuroscience. Kwan, A. (2013), “6 Benefits of Music Lessons,” Parents. The Harris Poll®, July 2014. Lipman, J. (2014), “A Musical Fix For American Schools,” The Wall Street Journal. Liske,K. (2008). Philosophy of Music Education: A Statement of Educational Philosophy and Professional Purpose. University of Wisconsin, Oshkosh. Merriam, A. (1964). The anthropology of music. Evanston, IL: Northwestern University Press. Norrby, C. (2000). Youth speech, youth identities, and music worlds in Sweden: Four high- school girls describe music. Text, 20(4), 569-602. Parbery-Clark, A., et al., Musical experience and the aging auditory system: implications for cognitive abilities and hearing speech in noise. PLoS One, 2011. 6(5): p. e18082. Parbery-Clark, A., et al., Musical experience offsets age-related delays in neural timing. Neurobiol Aging, 2012. 33(7): p. 1483. e1. Parbery-Clark, A., S. Anderson, and N. Kraus, Musicians change their tune: how hearing loss alters the neural code. Hear Res, 2013. 302: p. 121-131. Parbery-Clark A, A.S., Kraus N. , Musical Experience and Hearing Loss: Perceptual, Cognitive and Neural Benefits, in Association for Research in Otolaryngology Symposium. 2014: San Diego, CA. Parbery-Clark A., Anderson S., Kraus N. (2013), “Musicians change their tune: how hearing loss alters the neural code.” Hearing Research. Petitto,L.A. (2008). "Arts Education, the Brain and Language. In the Arts and Cognition Monograph: The Dana Consortium Report on Arts and Cognition." New York: Dana Press, 93- 104. Pratt, R. & R. Spintge, R. (eds.). (1996). MusicMedicine , Vol. 2. St. Louis: MMB Music. President's Committee on the Arts and the Humanities, Reinvestingin Arts Education: Winning America's Future Through Creative Schools, Washington, DC, May 2011. Rauscher, F. (2003). Can Music Instruction Affect Children's Cognitive Development? (ERIC Document Reproduction Service No. ED480540. Reilly, M. (1999). Music, a cognitive behavioral intervention for anxiety and acute pain control in the elderly cataract patient. Unpublished doctoral dissertation: The University of Texas Graduate School of Biomedical Sciences at San Antonio, School of Nursing. Schlaug, G., Norton, A. C., Overy, K., Cronin, K. T., Lee, D. J., & Winner, E. (2004). Effects of music training on children’s brain and cognitive development. In S. D. Lipscomb, R. Ashley, R. O. Gjerdingen, & P. Webster (Eds. ), Proceedings of the 8th International Conference on Music Perception and Cognition (pp. 133-134). UK: Causal Publications. Scripp, L. (2002). "An Overview of Research on Music and Learning." In R. Deasy (Ed. ), Critical Links: Learning in the arts and Student Achievement and Social Development, Washington, DC: AEP. Shields, C. (2001). Music education and mentoring as intervention for at-risk urban adolescents: Their self-perceptions, opinions, and attitudes. Journal of Research in Music Education, 49(3), 273-286. Skoe, E., J. Krizman, and N. Kraus, The impoverished brain: disparities in maternal education affect the neural response to sound. The Journal of Neuroscience, 2013. 33(44): p. 17221-17231. Slater, J., A. Tierney, and N. Kraus, At-risk elementary school children with one year of classroom music instruction are better at keeping a beat. PLoS One, 2013. 8(10): p. e77250. Slater, J., et al., Longitudinal evidence of improved speech-in-noise perception with musical training. under review. Spintge, R. & Droh, R. (eds.) (1992). MusicMedicine. St. Louis: MMB Music. Strait, D.L. and N. Kraus, Can you hear me now? Musical training shapes functional brain networks for selective auditory attention and hearing speech in noise. Front Psychol, 2011. 2: p. 113. Strait, D.L., et al., Musicians’ Enhanced Neural Differentiation of Speech Sounds Arises Early in Life: Developmental Evidence from Ages 3 to 30. Cerebral Cortex, 2013. Strait, D.L., et al., Biological impact of preschool music classes on processing speech in noise. Developmental cognitive neuroscience, 2013. Strait, D.L., Kraus N., (2014), “Biological impact of auditory expertise across the life span: musicians as a model of auditory learning,” Hearing Research. Tierney, A., et al., High school music classes enhance the neural processing of speech. Front Psychol, 2013. 4: p. 855. Tierney, A.T. and N. Kraus, The ability to tap to a beat relates to cognitive, linguistic, and perceptual skills. Brain and Language, 2013. 124(3): p. 225-231. Tierney, A. and N. Kraus, The Ability to Move to a Beat Is Linked to the Consistency of Neural Responses to Sound. Tierney, A., J. Slater, and N. Kraus, Children with earlier neural responses to sound are better at synchronizing to sound. in preparation. The Journal of Neuroscience, 2013. 33(38): p. 14981-14988. Tommasini, A. (2009). Classical Music Takes Center Stage at the White House. The New York Times. Walsh, Michael. Who's Afraid of Classical Music? New York: Simon and Schuster, 1989. White-Schwoch, T., et al., Older adults benefit from music training early in life: Biological evidence for long-term training-driven plasticity. The Journal of Neuroscience, 2013. 33(45): p. 17667-17674. Woodruff Carr K, W.-S.T., Tierney A, Strait D, Kraus N., Beat synchronization and speech encoding in preschoolers: A neural synchrony framework for language development, in Association for Research in Otolaryngology Symposium. 2014: San Diego, CA.